via WYCD-FM (Detroit). Video tribute from Art Vuolo, Jr.
Linda Lee, legendary broadcaster, Specs Howard School grad and WYCD 99.5 FM’s award-winning afternoon drive co-host, died Friday (3/31) after a seven-month cancer battle. She’s survived by her husband Jeff Young, daughter Gina (Dan) Holmes Mills, and step-daughter Alexa Young. Lee, a Detroit native, revealed her Stage 4 lung cancer diagnosis in September 2016, just a few months after celebrating her 20th year on-the-air at Detroit’s WYCD last July. She was diagnosed two weeks before her daughter’s wedding. 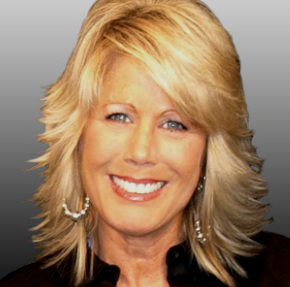 Lee began her tenure at WYCD as a member of the morning show in 1996. She later teamed up with co-host Chuck Edwards for the long running “Edwards & Lee” afternoon drive show. Edwards & Lee were together for 16 years – collecting a number of national accolades – before Lee paired with Rob Stone after Edwards moved to mornings in late 2015. A hearty laugh was her hallmark. Always a fan favorite, Lee was known as personable and warm, the kind of person who never met a stranger. Her friends are everywhere, from those who listen to her while they work the line to the biggest names in country music. The day Lee celebrated her 20th year at WYCD, Stone arranged for country stars to call and congratulate her; names like Keith Urban, Justin Moore and Frankie Ballard. Big & Rich sent a video message. While the congratulatory calls were a testament to the imprint Lee left on the industry, she was mostly thankful to spend two decades doing what she loved, in a city that she loved. Lee was trying hard to get healthy enough to make the trip to Las Vegas to accept her first Academy of Country Music award as a major market personality on Sunday. Co-host Rob Stone will accept the award on her behalf. Art you are a sweet man. Well done!